Now that we are done with homeschooling, it's been fun to look back at the long road we took to get where we are. 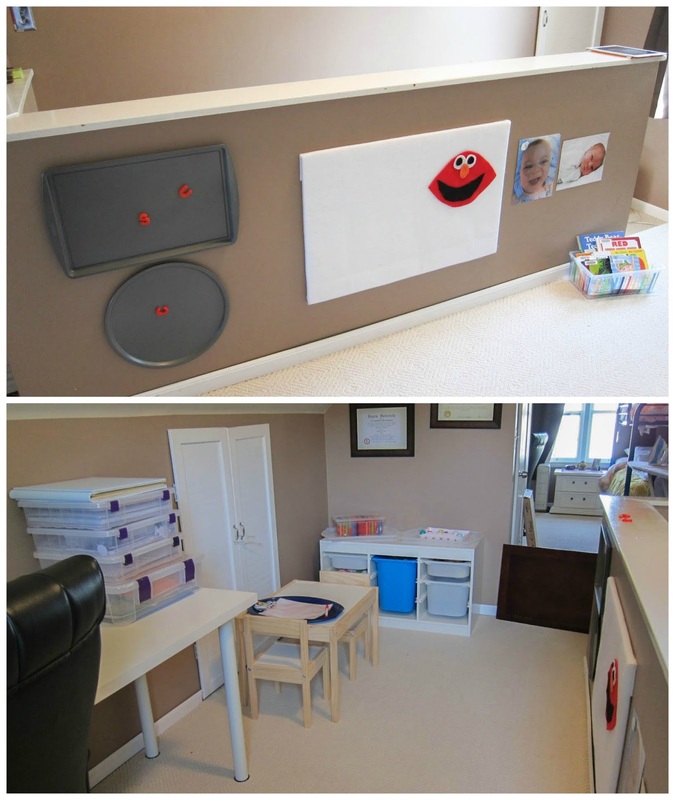 We started out in just this small corner of our guest bedroom/office and ended up in a beautiful room full of wonderful Montessori materials. It's been so interesting to look back and see how we have changed our lives to incorporate Montessori and how transformative that has been. But most importantly with this post, I want to emphasize a few points that I learned a long the way. One, everything does NOT have to be perfect all at once. 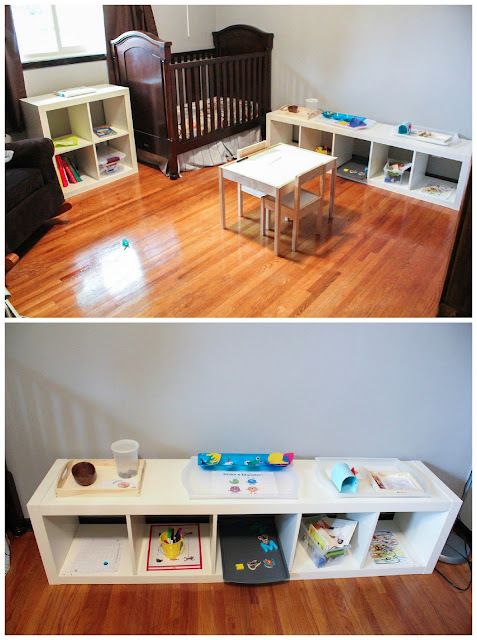 Your child will learn even in a room that is not perfectly prepared. Yes, a prepared environment is important. But, I've found even if there are things that aren't "picture perfect" it can still attract a child. Two, the environment does not have to remain static. In fact, I would argue that it should not. It is an evolving entity in your home. Tweaks need to be made. Adjustments for your child's interests, age level, maturity and readiness. Don't be afraid to make those changes and see how your children respond. And, keep making those changes as necessary to keep your environment successful. I still love our first little classroom! 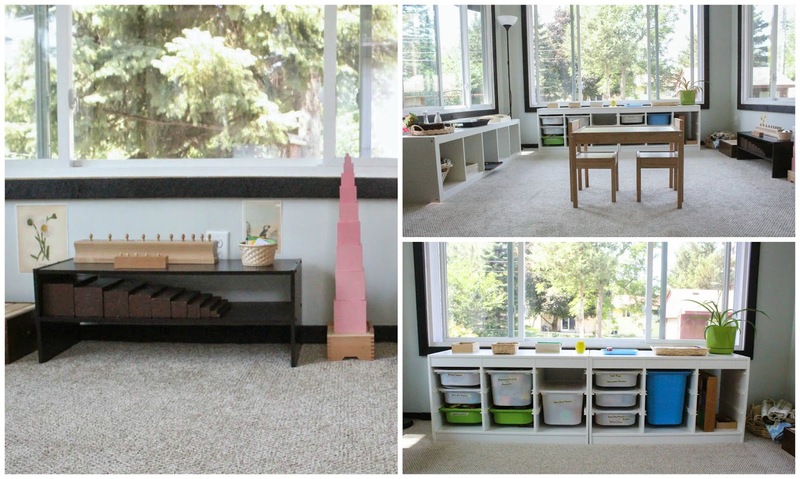 I knew nothing about Montessori, but it set me on a path to a completely wonderful new life! I'm so proud of myself for jumping in and just doing it! And, I hope seeing where we started gives everyone the motivation to take control for themselves and know that they can do it too! You can read more about this space here. This poor little room! It was never successful in this dark corner of our basement. Never under estimate the power of natural light! But, this was a short lived situation. So, this is a perfect example of letting your child lead not being afraid to make the changes you need to have success. You can read more about classroom 2 here. Moving the classroom upstairs was one of the greatest changes that we ever made. 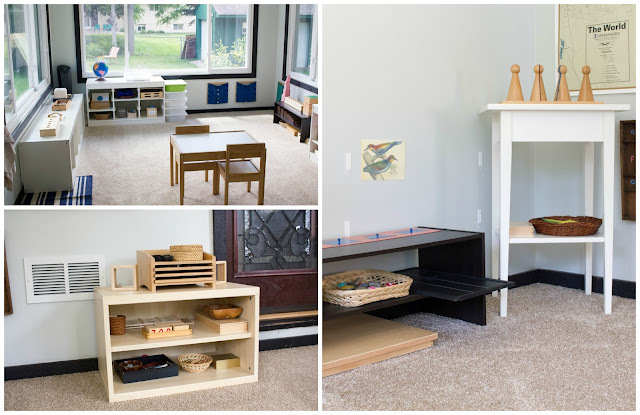 You can see we started to seriously incorporate Montessori into our routine and we have been better everyday for it. We still had a long way to go, but this space was well loved while it was in use. You can read more about classroom 3 here. And, classroom 4 here. The last two spaces were 100 percent my favorites. But, they still weren't perfect. And, I'm not even sure that perfection is achievable. Or, at least for me. Looking back, I'm so glad I tried and I wouldn't change our experience for the world! You can read more about classroom 5 here. And classroom 6 here. Do you homeschool? Have you seen a transformation in your homeschooling spaces throughout the years? This post is part of the 12 Months of Montessori series! 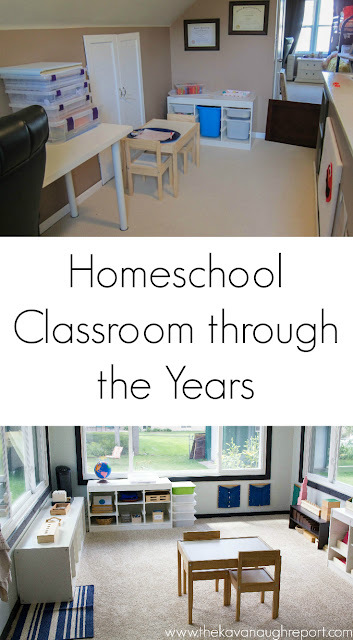 This month's theme is homeschool classrooms! Check out these other great rooms. It's amazing how things change over time. 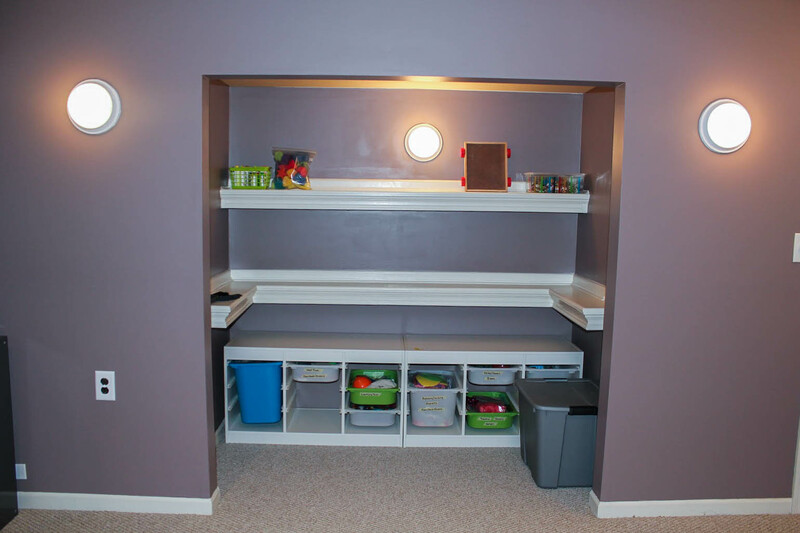 We've definitely had our fair share of changes in environment too, up until last year, when we finally created exactly what we needed for the older kiddos. Now for Sunshine... still haven't even started yet. I think your last classroom is my favorite! This is wonderful. It seems like our homeschool area changes all the time as kids grow and learn. Thanks for sharing! It's amazing to see the evolution of the spaces, I hadn't seen the first ones! 5 and 6 are my favourites too, and those windows! I have a love and hate relationship with change :D I love new beginnings, it brings out excitement... but I also hate letting go of other things, most especially the ones that's sentimental. I'm feeling this right now as Vito will go to preschool soon and I will surely miss him! 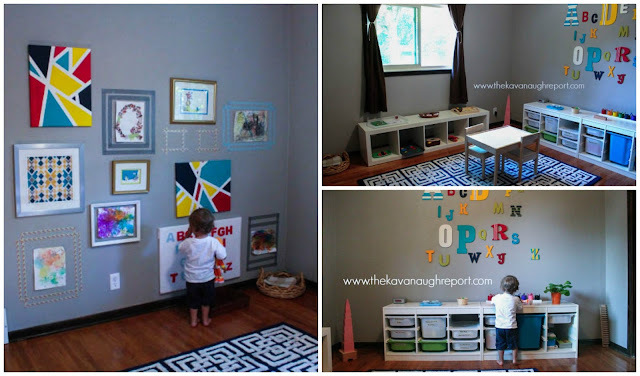 Anyway, I love the sharing of your classroom, and how you made all the materials available anywhere in the house.